We have to give BNP Paribas volunteers credit for having such an interest in financial literacy. 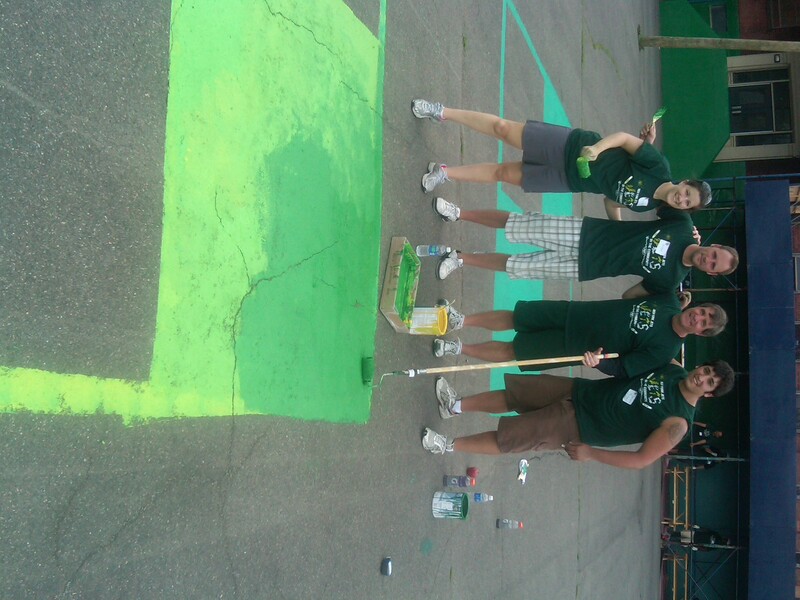 From painting lines on a football field to line games on a school’s blacktop, these Jets volunteers can do it all! Skills Based Volunteering…Is it for you? It’s not every day that you get to use your expertise to help a deserving cause. Through the Jersey Cares Skills-Based Volun teer Program, individuals have been giving back to their communities by dedicating their time and skills to help others. It was just a year ago that Jersey Cares received a grant to develop the Skills-Based Volunteer Program and we’re proud to share some amazing results. We have had some wonderful success in the past few months! A technology expert recently volunteered to set up the computer room at a nonprofit organization in Newark. This project has allowed the children who participate in the after school program to use the computers for school work and other activities. In addition, this volunteer generously donated wireless cards allowing the students to search the internet. Now that the computer room is set up, skilled volunteers will be brought in to work with the students on their computer skills. We have also been fortunate enough to have a talented graphic designer volunteer work with a Jersey City based community organization. He recently revamped their marketing brochures and continues to help the staff on communications needs. At this same organization a college professor uses her free time to coach individuals looking for employment. Additionally, over 100 skilled Home Depot employees, consultants and contractors installed new bathroom fixtures, front porches, completed outdoor landscaping projects, laid new carpets and built new fences at veterans’ homes in Newark. Whether you are a web designer, lawyer, contractor, teacher or photographer you have a skill that can help organizations and people in need. Visit the Jersey Cares Skills-Based Volunteer Program part of the Jersey Cares website to learn more. 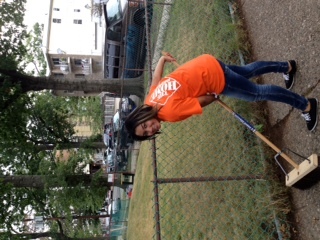 The Home Depot volunteering spirit is sweeping the nation! Take a moment to paws and look at this adorable kitten! Help out a no-kill shelter by donating items to our Animal Shelter Helpers collection drive. 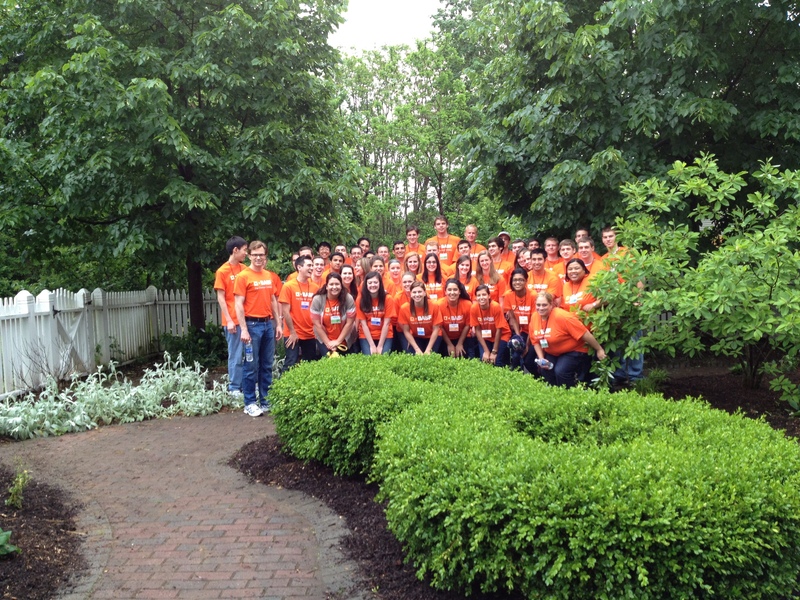 These BASF volunteers worked so hard at this agency in Morris County that they should get thyme and a half for the great job they did. 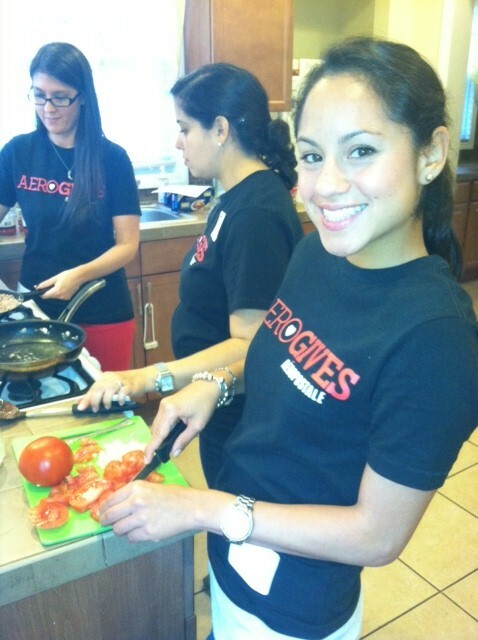 It’s almost time to eat…these Aeropostale volunteers are chopping up some fun and cooking a dinner for an agency in East Orange, NJ.